WSIL will once again be hosting their “Sack Hunger” campaign. This year they have picked the Pinckneyville versus West Frankfort game on September 4th. 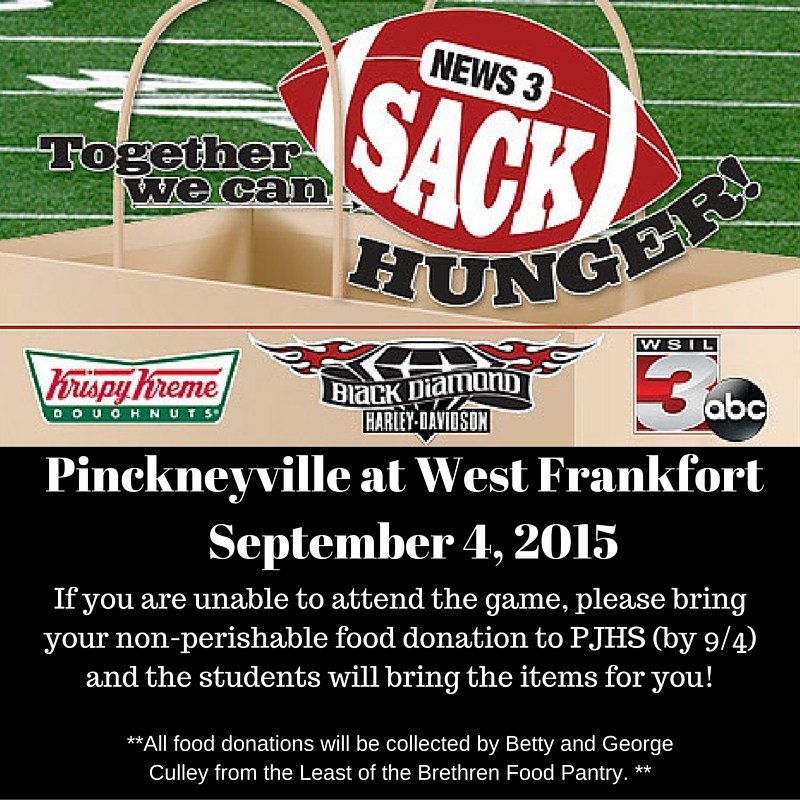 We are asking all Pinckneyville residents that are attending the game in West Frankfort to bring your non-perishable food donations. If you are unable to attend the game, please bring your donation to the Junior High and the students will deliver the donations for you. The Least of the Brethren Food Pantry will be collecting donations at the gate on September 4th. Please do your part to “Sack Hunger”! Pinckneyville has won this challenge the past two years, and we hope we can be victorious again this year! The winning city will receive a $500 donation to their local food bank!